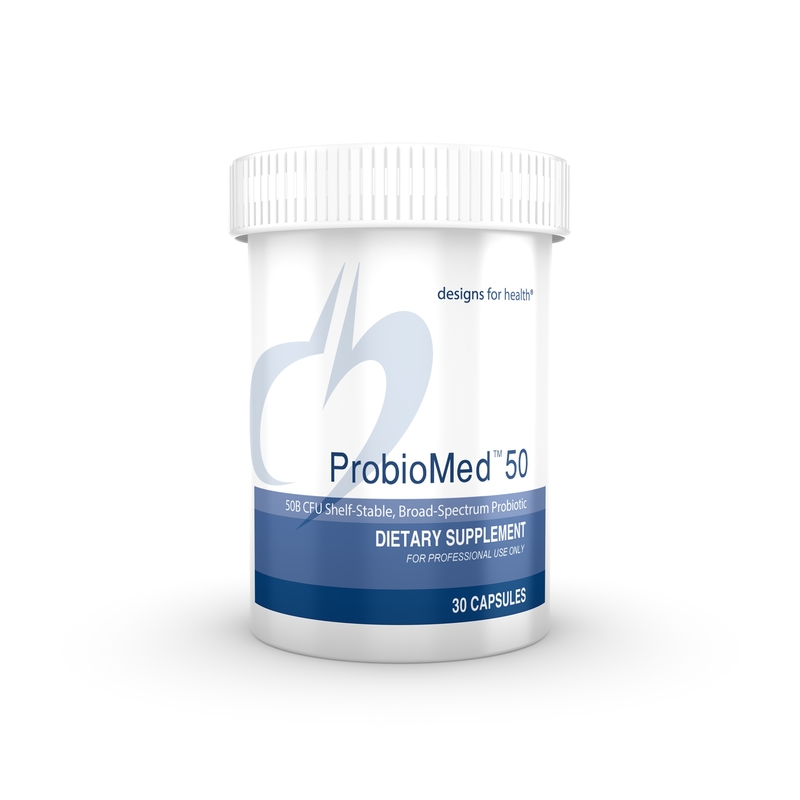 ProbioMed™ 50 is a high potency, shelf stable, dairy-free probiotics formulation containing 50 billion CFU per serving, designed for daily microflora maintenance. 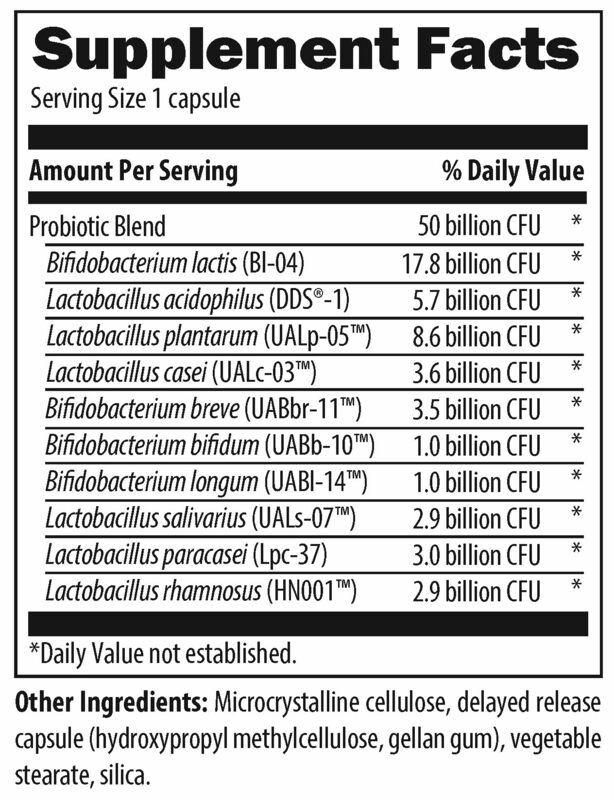 * It consists of ten of the most highly-researched probiotic strains, with each strain and specific CFU count being fully disclosed. These are robust strains that are capable of surviving the harsh journey to the intestines and are able to attach to the intestinal walls, where they can grow and function effectively to support GI health. The survivability of the strains is further assisted by delayed release technology as well as unique moisture-resistant, desiccant-lined packaging. This novel packaging removes the need for refrigeration, making ProbioMed™ 50 convenient for travelers and anyone on the go.